García-Ramos, J. C.; Cortés-Guzmán, F.; Matta, C. F. (2018) “On the Nature of Hydrogen-Hydrogen Bonding”, Chapter 16 in: Intermolecular Interactions in Molecular Crystals: Fundamentals of Crystal Engineering, Novoa, J. J. (Ed. ), Royal Society of Chemistry, London, UK. (pp. 559-594). 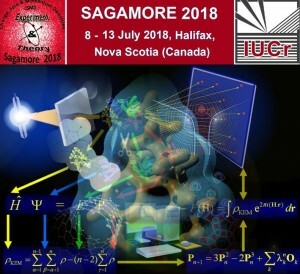 Matta, C. F.; Massa, L. (2017) “Information Theory and the Thermodynamic Efficiency of Biological Sorting Systems: Case Studies of the Kidney and of the Mitochondrial ATP-Synthase”, Chapter 1 in: Sustained Energy For Enhanced Human Functions And Physical Activity, Bagchi, D. (Ed. ), Academic Press – An imprint of Elsevier, London (pp. 3-29). Matta, C. F.; Sumar, I.; Cook, R.; Ayers, P. W. (2016) “Localization-delocalization and electron density-weighted connectivity matrices: A bridge between the quantum theory of atoms in molecules and chemical graph theory” Chapter 3 in: Applications of Topological Methods in Molecular Chemistry (Springer book series: Challenges and Advances in Computational Chemistry and Physics (Vol. 22)), Chauvin, R; Lepetit, C.; Silvi, B.; Alikhani, E. (Eds. ), Springer, Switzerland (pp. 53-88). Matta, C. F. (2010) “Reflections on Quantum Biochemistry: From Context to Contents” in: Matta, C. F. (Ed.) 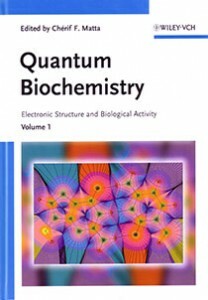 Quantum Biochemistry: Electronic Structure and Biological Activity (Vol. 1), Wiley-VCH, Weinheim (pp. XI-L). Bohórquez, H. J.; Cárdenas, C.; Matta, C. F.; Boyd, R. J.; Patarroyo, M. E. (2010) “Methods in biocomputational chemistry: A lesson from the amino acids”, Chapter 13 in: Matta, C.F. (Ed.) Quantum Biochemistry: Electronic Structure and Biological Activity (Vol. 1), Wiley-VCH, Weinheim (pp.403-422). Matta, C. F. (2010) “From atoms in amino acids to the genetic code and protein stability, and backwards”, Chapter 14 in: Matta, C. F. (Ed.) Quantum Biochemistry: Electronic Structure and Biological Activity (Vol. 1), Wiley-VCH, Weinheim (pp. 423-472). Arabi, A. A.; Matta, C. F. (2010) “Energy richness of ATP in terms of atomic energies: A first step”, Chapter 15 in: Matta, C. F. (Ed.) Quantum Biochemistry: Electronic Structure and Biological Activity (Vol. 1), Wiley-VCH, Weinheim (pp. 473-498). Massa, L.; Matta, C. F.; Yonath, A., Karle, J. (2010) “Quantum transition state for peptide bond formation in the ribosome”, Chapter 16 in: Matta, C. F. (Ed.) 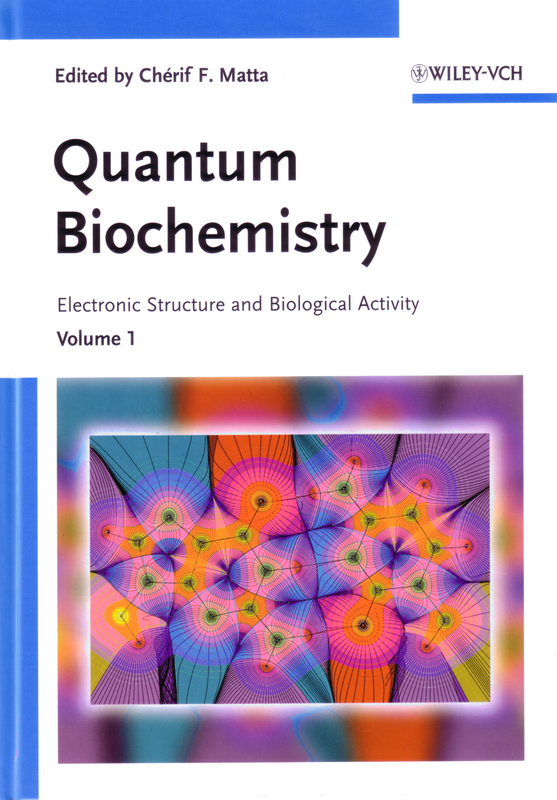 Quantum Biochemistry: Electronic Structure and Biological Activity (Vol. 2), Wiley-VCH, Weinheim (pp. 501-516). Matta, C. F.; Boyd, R. J. (2007). 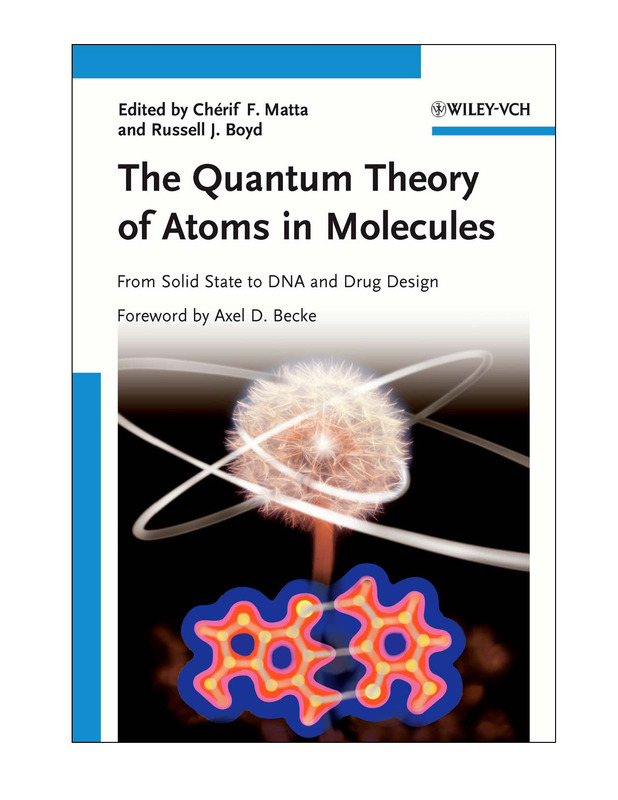 “Introduction to the quantum theory of atoms in molecules”, Chapter 1 in: Matta, C. F. and Boyd, R. J. (Eds.) 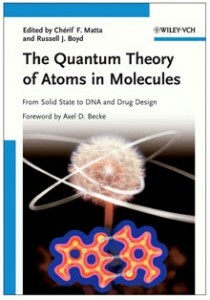 Quantum Theory of Atoms in Molecules: From Solid State to DNA and Drug Design, Wiley-VCH, pp.1-34. Matta, C. F. (2006). “Hydrogen-hydrogen bonding: The non-electrostatic limit of closed-shell interaction between two hydrogen atoms. A critical review”, Chapter 9 in: Grabowski S. (Ed. ): Hydrogen Bonding – New Insight, (Challenges and Advances in Computational Chemistry and Physics Series), Springer, pp. 337-375. Matta C. F. (2005) “Computational chemistry: A powerful and inexpensive tool for basic and applied research in the life sciences”, Chapter 23 in: Serageldin, I. and Persley, G. J. (Eds.) Discovery to Delivery: BioVision Alexandria 2004 (Proceedings of the World Biological Forum), CABI Publishing, pp. 261-272. Bader, R. F. W.; Matta, C. F.; and Martín, F. J. (2003). “Atoms in medicinal chemistry”, in: Chapter 7 in: Alber, F. and Carloni, P. (Eds.) Medicinal Quantum Chemistry (Methods and Principles in Medicinal Chemistry Series), Wiley-VCH, Weinheim, pp. 201-232.